December 15, 2017, New Delhi: The rollout of GST has received mixed responses from citizens and businesses. With the fuel prices going up and down constantly, the idea of bringing petrol and diesel under GST has been brewing for the last few months now. Bihar’s Finance Minister Sushil Modi, who is a part of the GST Council, recently echoed the consumer sentiments by saying that it would be their endeavour to bring petroleum products under GST in future. 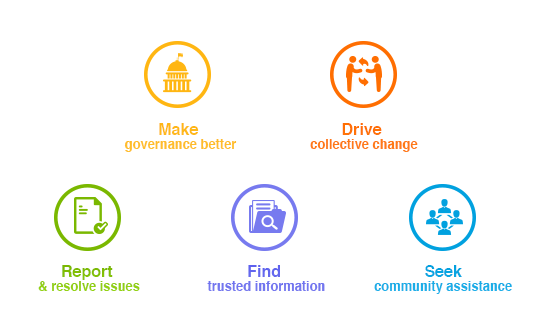 LocalCircles conducted a survey to check if the citizens would agree with the decision. 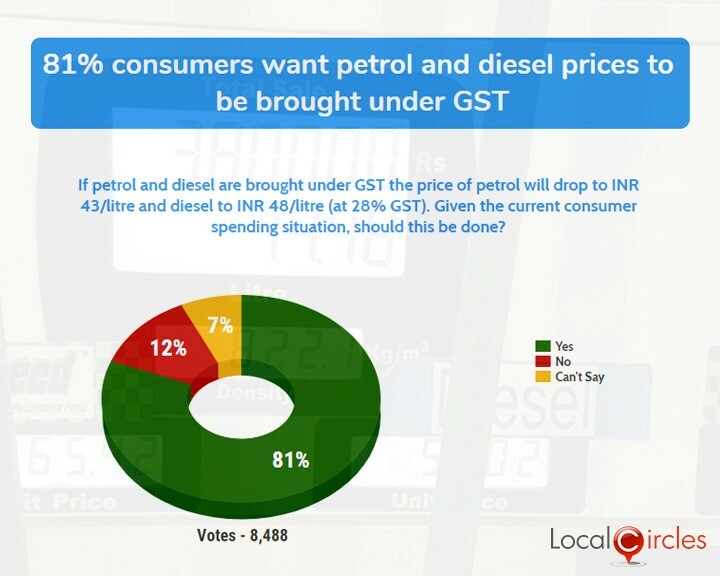 Citizens were asked if petrol and diesel should be brought under GST. Out of the 8,488 respondents, 81% voted in favour of it and a minor 12% voted against it. 7% were unsure about it. Notably, if petrol and diesel are bought under the 28% slab of GST, the price of petrol will drop to around Rs. 43 per litre and diesel to around Rs. 48 per litre. It is to be noted that states and centre both currently make about 40% of their revenue through the sale of petroleum products. Many citizens on LocalCircles had suggested that once petroleum products are brought under GST, the states could be allowed to add a cess to it to cover up some of their revenue losses and the centre could reimburse them yearly to balance their ledgers.